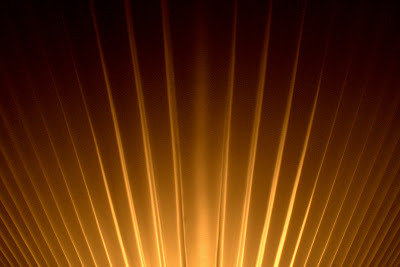 These sharp folds of light come from a glass lamp shade. The picture is significantly underexposed in order to overcome the harshness of the light bulb and bring out the details of the glass folds. Canon G10 ISO 100, 1/400 sec at f/8.0, 19mm equivalent focal length. 102 - That's a BIG Rabbit!